A late night stroll around Daejeon with friends just would not have been complete without a trip to Brian's Burger bar. 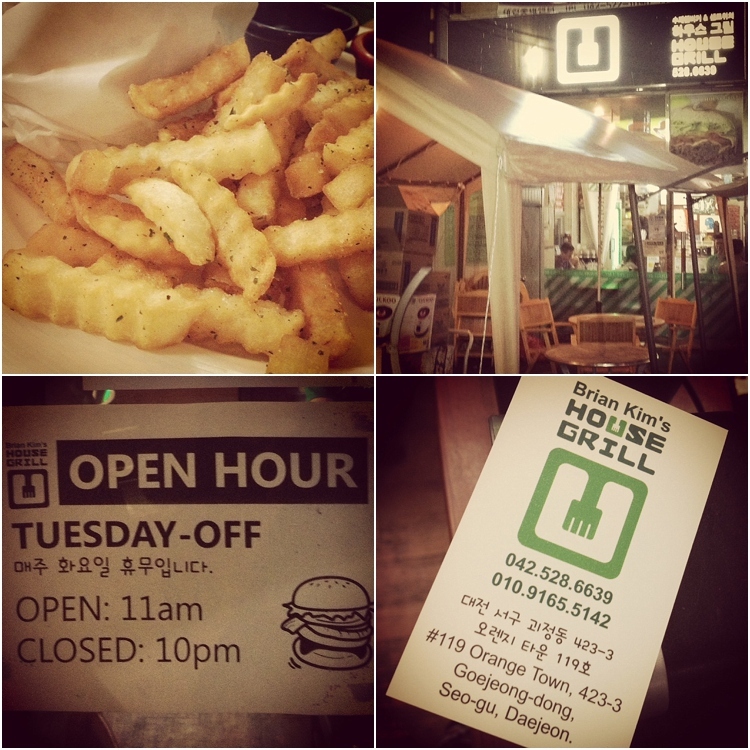 Thanks Claire and Andrew for taking us there to stuff our faces with good old proper french fries and amazing beef patties. 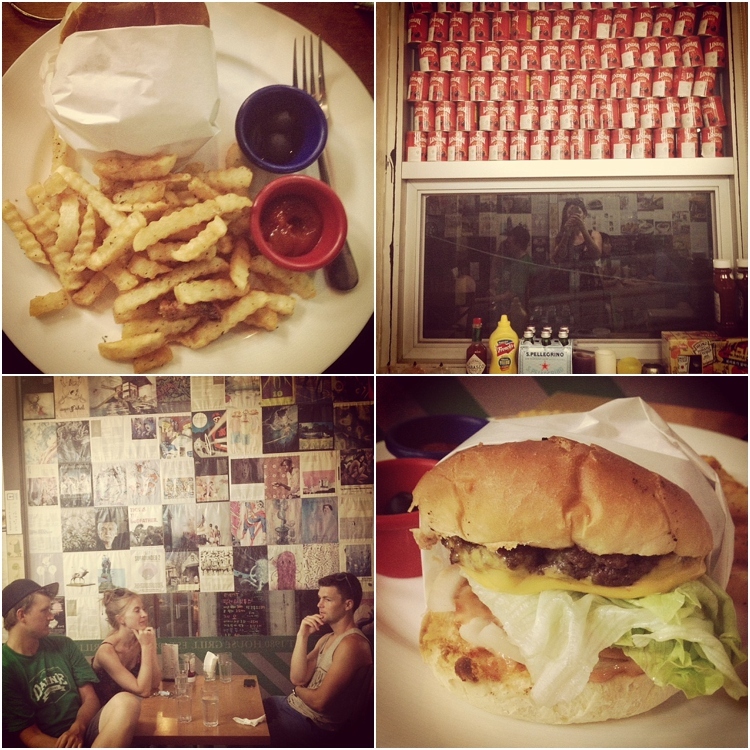 Burgers from W7 000, and sets which include fries and drink from W9 000. 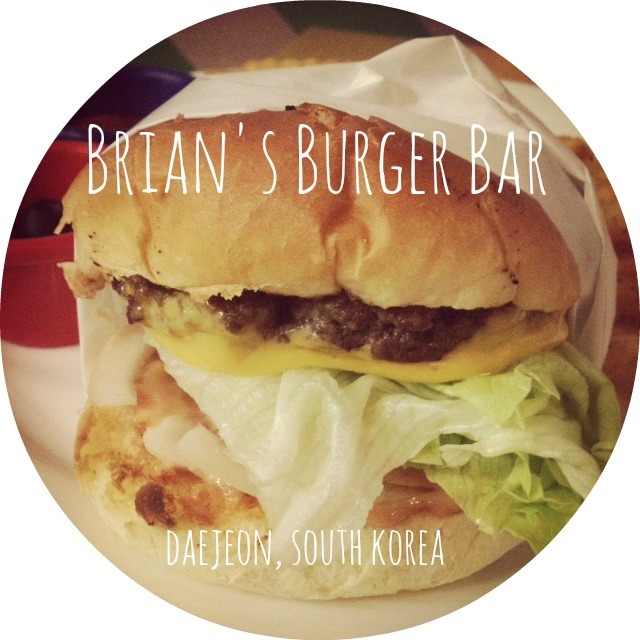 Brian is opening another branch in Daejeon this month, lucky Daejeon people.